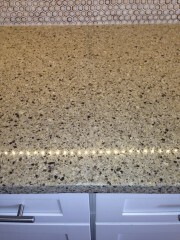 November 2013 - Granite, M.D. 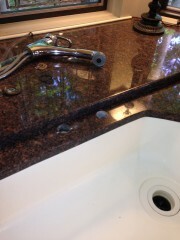 Selecting faucet location. 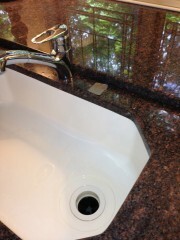 Faucet hole drilled in granite. 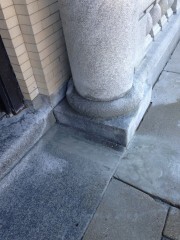 Granite repair on historical building, repairing pillars, walkway and step. 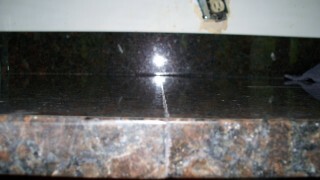 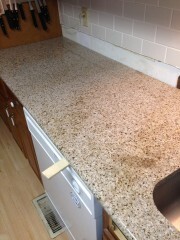 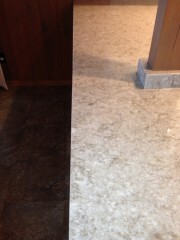 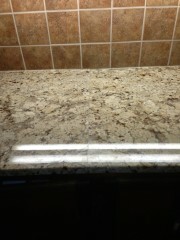 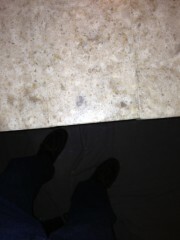 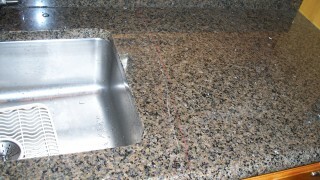 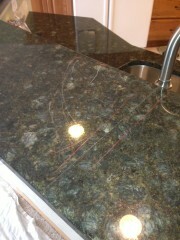 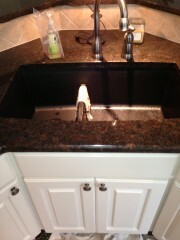 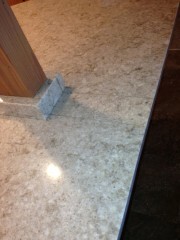 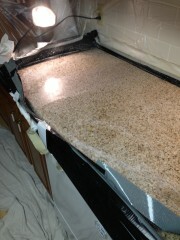 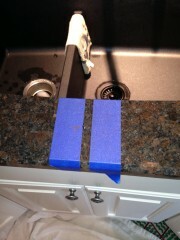 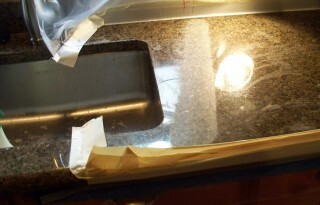 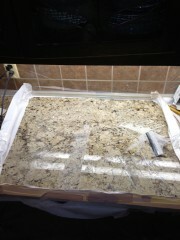 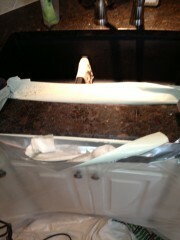 Identifying area of granite to repair. 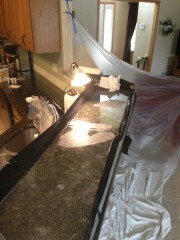 Repairing granite seam. 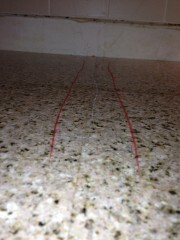 Identifying scratches and uneven seam. 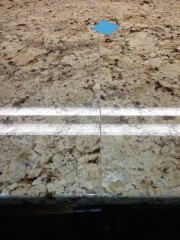 Repairing scratches and uneven seam. 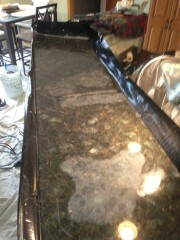 Peacock Green granite scratches and uneven seam repaired. 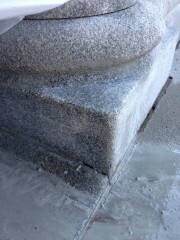 White Birch granite uneven seam. 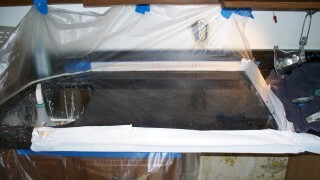 Seam being repaired. 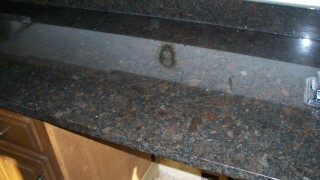 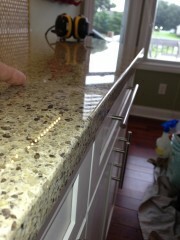 White Birch granite seam repaired. 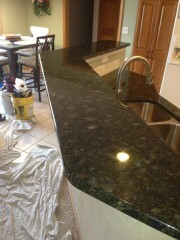 Tropic Brown granite scratch. 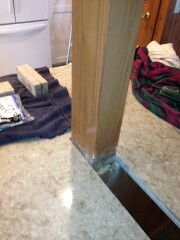 Scratch being repaired. 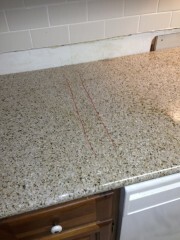 Scratch repaired. 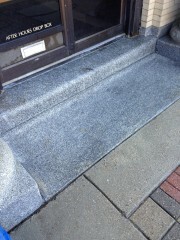 Granite seam in need of repair. 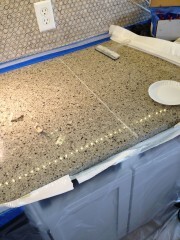 Repairing granite seam.